Gilead Sciences (NASDAQ:GILD) stock is stuck in a range and for good reason. The markets cannot decide if its quarterly revenue declines are permanent or if the company’s growth is reaccelerating again. Yet if investors hold Gilead stock and collect its 3% dividend yield, they will get an even bigger reward if two things happen. Specifically, if drugs in the company’s pipeline come to market, causing the company’s sales growth to accelerate, and its new launches meaningfully improve its results sooner than expected, GILD stock price could reach its old highs. There are indications that this scenario could indeed play out. Gilead recently launched Biktarvy, an HIV treatment, after the FDA approved it in February. The once-daily single tablet has demonstrated that it provides a complete regimen for treating HIV-1 infection in those with no history of taking an antiretroviral treatment. In two Phase 3 studies, the drug met its primary objective of non-inferiority at 48 weeks. None of the participants became resistant to the drug, and none of the patients had to discontinue treatment due to renal adverse events. Despite the success Gilead has had with making drugs for HIV patients, the company is still looking for ways to reduce the side effects caused by its anti-HIV drugs. Even though HIV patients have many treatment options, some are still resistant to or don’t respond to Biktarvy. For these 40,000 to 50,000 patients, the company is developing alternative treatments. One option is using its new nucleotide 9131 along with a next-generation protease inhibitor. A class of Gilead’s HIV drug treatments are still protected by patents. Even though more generic HIV treatments are coming to market, like AZT and 3TC, Gilead faces minimal competition in this area. But it continues to innovate in this space in order to stay ahead. Gilead’s Filgotinib drug, which treats patients who have rheumatoid arthritis and previously failed to respond to or were intolerant of biologic agents, met the primary endpoints of a Phase 3 study, Gilead recently reported. The study evaluated Filgotinib, a JAK1 inhibitor, in adult subjects. Compared to the placebo, a statistically significant proportion of the patients’ rheumatoid arthritis symptoms improved at least 20%. The positive results suggest that the company has a blockbuster product in the making. More importantly, compared to the RA drug made by AbbVie Inc. (NYSE:ABBV), Gilead’s treatment has a better safety profile and is more effective. (However, there are no trials that directly compare the two drugs.) Further, the relatively clean safety numbers of Gilead’s drug should help it compete effectively with AbbVie’s product. On September 12, Gilead announced it would collaborate with Precision BioSciences, a privately-held company, to develop a cure for Hepatitis B, or HBV. Precision has a gene-editing platform called ARCUS. The technology uses a synthetic enzyme, called an ARC nuclease, to recognize and target a DNA sequence. With 257 million people living with an HBV infection, the companies want to cure the disease by targeting HBV’s covalently closed circular DNA. Currently, HBV treatments suppress HBV’s viral replication but do not get rid of the virus. According to the agreement, Precision will develop, formulate and clinically evaluate the nucleases, while Gilead will develop the clinical aspect of the technology and will commercialize potential therapies. Under the deal, Precision can obtain up to $445 million in milestone payments. Of the 12 analysts covering Gilead stock, ten have “buy” ratings on GILD stock and two have “hold” ratings on GILD stock. Analysts’average price target suggests that GILD stock price will rise 20%, according to Tipranks. Even though the days of making easy money from holding Gilead stock is gone, the company is not out. It is in a development phase, and holding GILD stock will pay off for longer term investors. As of this writing, the author did not hold shares of any of the companies mentioned. 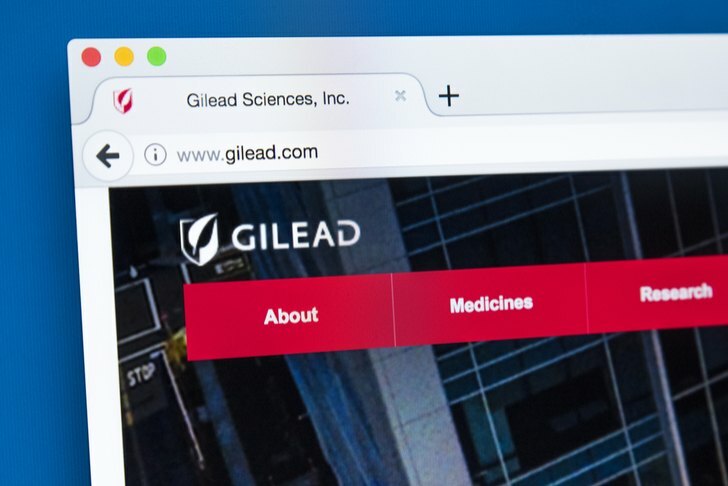 Article printed from InvestorPlace Media, https://investorplace.com/2018/09/why-gilead-stock-is-a-sleepy-giant-waiting-to-break-out/.